Why Is Credit Important? - Orion Mortgage, Inc.
You are here: Home / Blog / Reverse Mortgages / Why Is Credit Important? I often meet people who are happy that they have no open credit accounts. Being out of debt gives great freedom and is something I endorse, but it is still important to have credit available. Here’s why. I got an email on Tuesday telling me of a woman about to be discharged from a hospital on Friday. She needed $16,000 to pay for a rehab facility. She didn’t have the money in checking or savings. What options did she have for meeting this expense? Could I get her a loan by Friday? Financial experts advise us to accumulate an emergency fund for just such needs. That is the ideal. This woman, however, is not unusual in not having been able to save enough to cover an emergency such as this. She could consider a cash advance from a credit card if its limit equaled or exceeded the need. In each individual case, that limit may or may not be high enough. A Home Equity Line of Credit will not work well for emergencies because of the time necessary between loan approval and funds availability. She would have needed to have it in place prior to the need in order to access funds on such short notice. Of course using either of these options, she would incur monthly payments to get out of debt again. 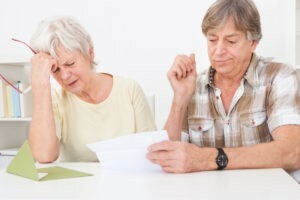 Having a Reverse Mortgage Line of Credit in place would have been an excellent option to meet her need with the least amount of pressure on her. It would have given her access to quick cash for situations like this. In this person’s case, and since she was over 62, it would have required no monthly mortgage payments. She would just continue to pay property taxes, property insurance, and maintenance on her home for as long as she lives there. Remember, too, that having a Reverse Mortgage Line of Credit in place does not mean that you have to use it. It is simply there, a cushion if you should need it. Unfortunately, given the short time frame this woman was working with when I was contacted, there was no legal way to arrange a mortgage to provide the money as quickly as she needed it. All I could suggest was for her to check the limit on her credit card and seek a cash advance. Don’t let that be your only avenue when an emergency arises. Call Don at 303-469-1254 to learn about your options.